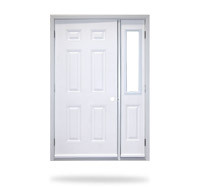 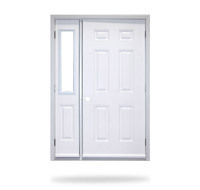 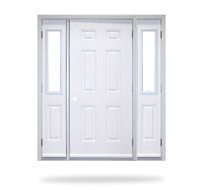 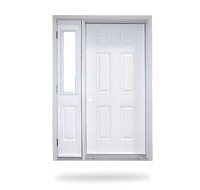 Huron Window Corporation’s Entry Door Systems provide you with years of security, durability and home appeal. 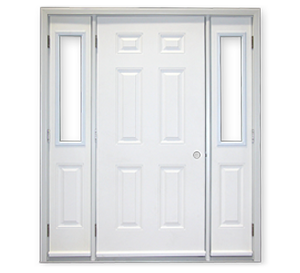 Designed and manufactured by Huron with our industry-leading standards of quality control, the Entry Door Systems go into your home maintenance-free and stay there for life – saving you worry and hassle, and ultimately leaving more money in your pocket. 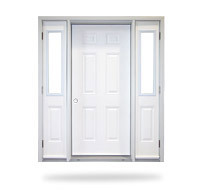 Since there is no sweep in the sill system, you don’t have to worry about water or air infiltration. 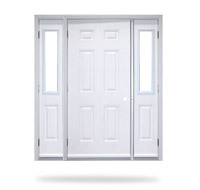 Stainless Steel ball bearing hinges and adjustable strikers ensure first-class functionality. 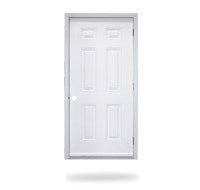 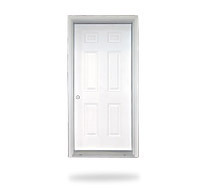 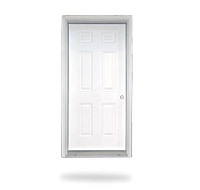 Finally, you can have your door painted in one of our 24 different colour selections. 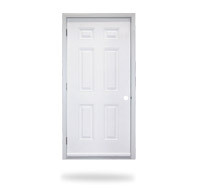 See our Spectrum Colour Selector for options. 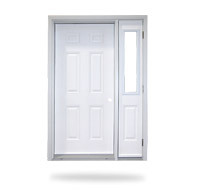 Huron Window Corporation is pleased to offer swing entry systems suitable for all home layouts. 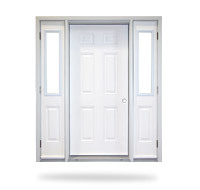 Click thumbnail for popup to show functionality of exterior views.